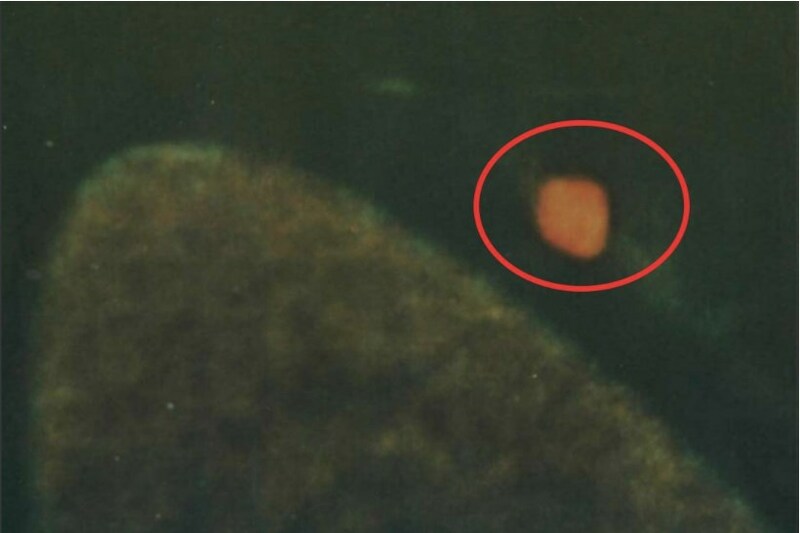 The Facts:The picture of the UFO comes from a long time NASA scientist, one of many photos covered-up and hid from the public from the Voyager mission in 1980. That mission was tasked with photographing Saturn, its rings and its moons. Reflect On:What does this mean for humanity? Why they still cover-up UFOs ? Are we ready to accept that this may be a reality? What kinds of implications are there from the realization that we are not alone, and that highly advanced, intelligent beings are out there? The pictures NASA got back from the Voyager mission to Saturn in 1980 were apparently so mind-altering that they locked them up–at least that’s what retired U.S. Army Command Sergeant Major Bob Dean said in his lecture. He also showed numerous photographs from the Apollo missions that were never released to the public. Multiple governments, like Russia, have been calling for an international investigation as to where photographs, footage and Moon rocks disappeared to. The picture of the UFO above does not come from Dean, it comes from one of his good friends Norman Bergrun, a scientist and engineer who was part of NASA’s voyager program. He worked at NASA for decades at the Ames Research Centre. He also worked at Lockheed Martin where he managed the Polaris missile tests. Unfortunately, he recently passed. He is a legend for going public. What is the picture of? It’s a “luminous source,” that comes from Bergrun’s Book, “The Ringmakers of Saturn.” He had to go through a lot of trouble to publish it, and had to leave the country in order to do so, as Dean explained in the lecture linked above. According to Bergrun, there are several large craft “proliferating” out around Saturn and its moons. His book goes into much greater detail, and it’s hard to find and costs thousands of dollars. According to Dean, Bergrun got frustrated later in life that the decision was made not to tell the public what they had photographed at Saturn. My previous article Long-Time Nasa Scientist Blows The Whistle On Tall Black Extraterrestrial Beings describes Bergrun exposing the existence of what he calls extraterrestrial ‘vehicles’ that were responsible for making the rings around Saturn. In a rare interview he gave with Kerry Cassidy of Project Camelot (below), he expressed his great concern of the UFO cover-up and stated with enthusiasm that “people have got to be made aware that those things are real.” I’ve presented this video in multiple articles, but anytime you mention him, you must present this interview ! In his book, Norman makes it a clear point to emphasize that these objects have probably been around much longer than we have. He also states that if there was any ill intent towards our planet, something probably would have happened by now and there is a reason that these objects (which he stated are intelligently controlled, not by us) have not come in close proximity to our planet. By coming closer than they already are they may, and already probably do have some effects on our own weather. This is something Norman also mentions in his book. A lot of ridicule and fear exists behind this topic, and today it’s no longer taboo as mainstream disclosure has begun. We are becoming more aware, and despite mainstream media and the global elite having a lot to lose from the disclosure of this type of information (propulsion systems, oil, etc..), the truth is leaking out. It’s a field filled with information and disinformation, so one has to be cautious and remain skeptical. At the end of the day, we know that we are not alone, and it has huge implications for all areas of humanity–not the least of which is that it will ultimately force humanity to look within.